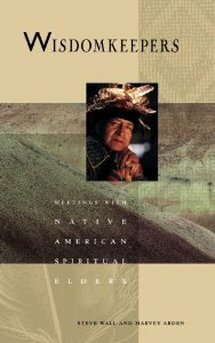 Wisdomkeepers takes an extraordinary spirit-journey into the lives, minds, and natural-world philosophy of Native American spiritual Elders. With magnificent photographs and powerful words, the Wisdomkeepers share their innermost thoughts and feelings, their dreams and visions, their jokes and laughter, their healing remedies and apocalyptic prophecies and -- above all -- their humanity, which shines through every page of Wisdomkeepers. This is their book. They are the Elders, the Old Ones, the fragile repositories of sacred ways and natural wisdom going back millennia -- yet never more relevant than today.